This half term our topic is "Fragile Earth". We are looking at various environmental issues such as deforestation, recycling and our use of plastics. 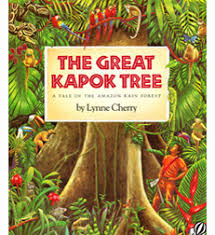 In Literacy we are studying "The Great Kapok Tree" by Lynne Cherry. This a picture book about the deforestation of the Amazon Rainforest. We are writing in various genres, including persuasive letter writing, poetry and fiction. In Science we are looking at Plants. We are identifying the part of flowering plants and investigating the conditions required for healthy plant growth. Our RE topic is entitled "Why is Jesus inspiring to some people". In Art we are developing drawing techniques using a range of media.